Where? – McNulty Foundation Design Lab, King Engineering Building 102. At the workshop session today, we brainstormed about a typical user’s experience and needs around the problems the Laptop Racky seeks to solve. After laying out the typical users of this device, we used an empathy map to understand the users’ needs. 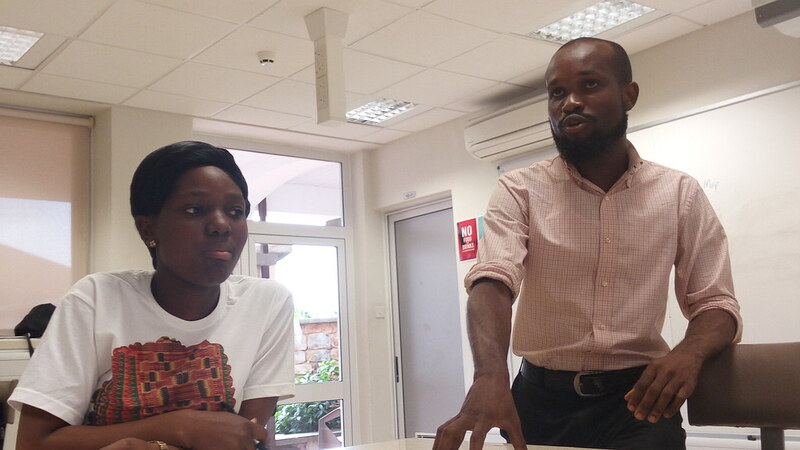 Andrews was tasked with organizing a team of students, within and outside Ashesi who will be committed to helping develop the project. He also has to do further research within his problem space to gather more data. Developing a human-centered Montessori school management structure and curriculum. Posted in Design Thinking Montessori School, Fellows' Workshops, Laptop Racky, ProjectsTagged BMC, Design, Education, Empathy map, InnovationBookmark the permalink.